Sometimes it's very easy to become swept up in daily life, deadlines, and dramas - so much so that we don't communicate as much as we should or show care as much as we should. As Mother's Day approaches, it gives us that opportunity to appreciate our one and only in the most delightful and traditional way. 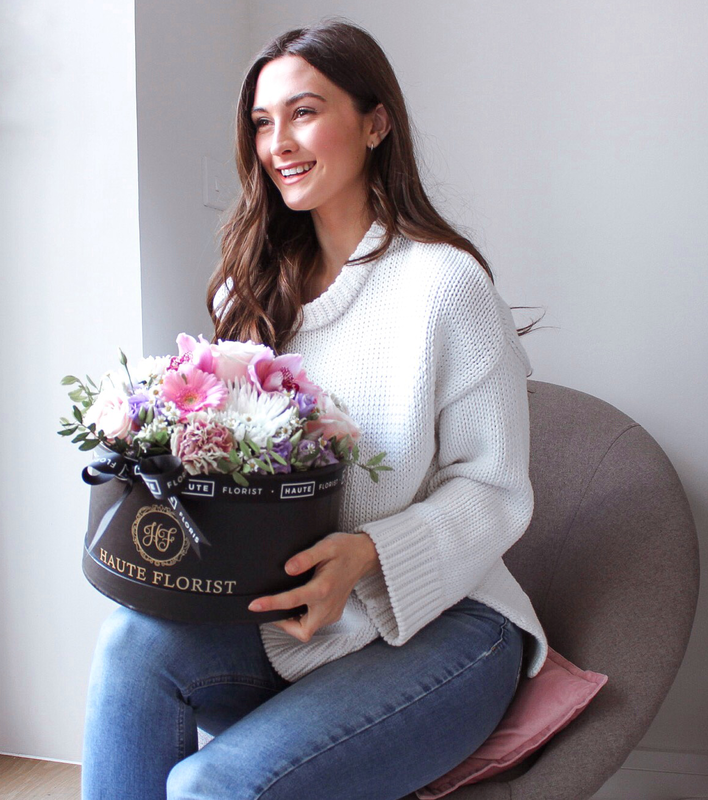 This week I've teamed up with Haute Florist to showcase the beautiful bouquet that they have lovingly created for Mother's Day. Including two of my own favourites: Peach Avalanche Roses and Orchids, this bouquet is packed with feminine tones and floral scents. It oozes elegance and is intricately designed with a special recipient in mind. Researching into traditions of floral gifting, it pleased me to see that culturally, flowers all signify deeper and loving meanings across communities. With roses being the most meaningful flower across the globe, it is no wonder that they are a key component within this bouquet. I've always said that flowers are the ultimate gift, and their ability to make a woman smile and feel special is undoubtable. This was proved recently by my ever so caring partner. I've had a strange few weeks, and my mindset had taken a hit. 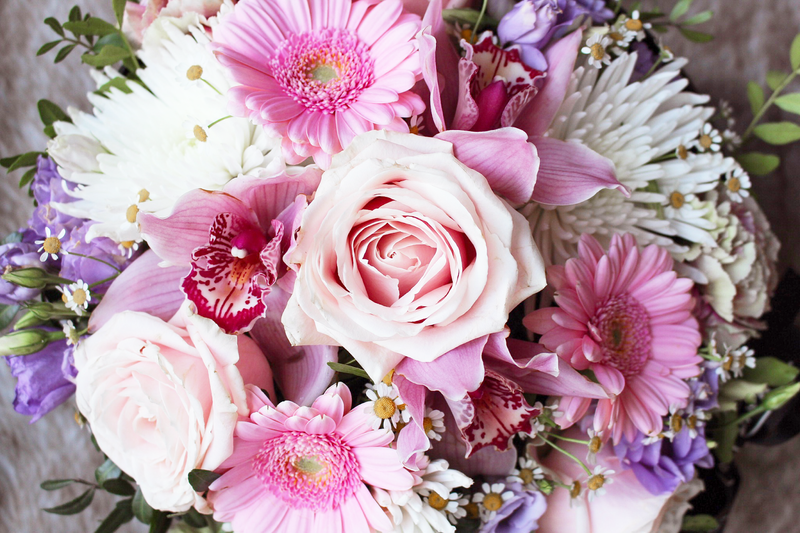 When my tough time was reaching its peak, he came home with a bouquet that he had specifically picked out for me. Whilst care isn't shown through materialism, this was one of the few moments that made me smile that week. I understood what truly mattered most. He believed in me, supported and cared for me. It was the reminder that I needed, that the most important things in life are true happiness and the love and support of those around you. Your warmth, and care for those that you love is what matters, and vice versa. As a private person, I don't often talk about my loved ones, because they are just that. However, I'm at a time in my life where I feel like I am sort of making it up as I go along. I'm a graduate and in my first year out of the University comfort blanket, and don't get me wrong, I'm learning more than I ever have. I know that risks are being taken and decisions are being made, often without the knowledge of what is happening next or where I will be this time next year. As a child, your parents are always there every step of the way, even when you take that for granted, and years fly by with little change. Adulthood is tough. I can't sugar coat it, it is what it is. Having the support network of my family for advice or courage is unbeatable, and I cannot express my gratitude enough that I have that from them, especially when the future seems unpredictable. That being said, the name Mother's Day connotes gratitude towards your mother, but this doesn't have to be the case if it isn't the right fit. Whether it's your mother, your step-mother, your best friend, your Auntie, your Grandma, or Susan from down the road, please don't be afraid to show someone that you are grateful for their never ending support. Give them the uplift and gift that they deserve this year to say thank you for all the times that they have uplifted you. It will make you feel good too. With special thanks to my mum - Happy Mother's Day!